The Sebra bed for babys and toddlers grows together with your child from birth up to the age of about seven years. The design originates from the Juno bed, which was designed by the Danish designer Viggo Einfeldt already in 1942 and adorns every nursery with its timeless look even today. The Sebra bed out of birch is already suitable for newborn babies and grows with the child, by using the adjustable floor of approx. 112.5 cm to be expanded to a length of approx. 155 cm. 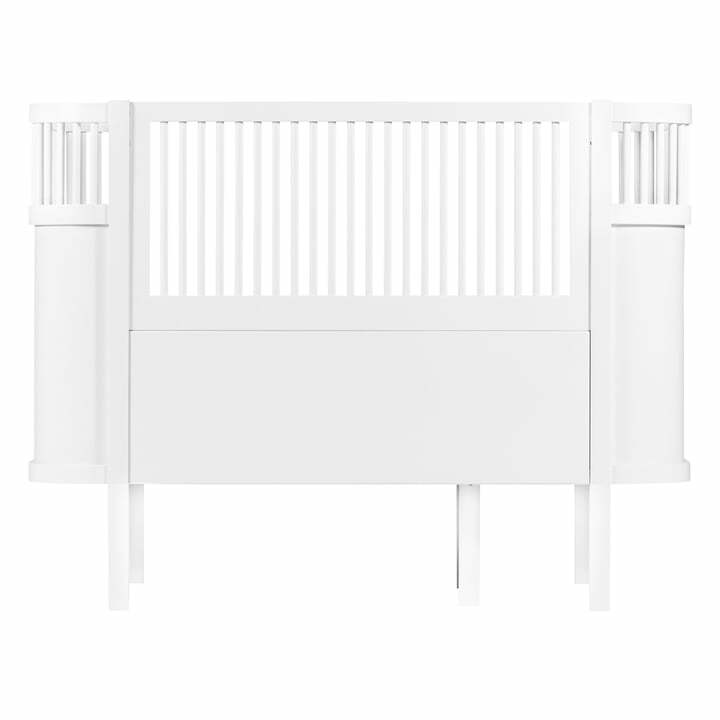 The bed is fully framed with bars which ensures that your baby cannot fall out of bed while sleeping. The side bars can either remain attached to the bed or be removed. The Sebra bed is treated with an antibacterial, eco-friendly and non-toxic wood paint in different colours, which contributes to the cleanliness of the room climate and protects the health of the child. With the matching, expandable Sebra mattress the Sebra bed allows to be padded comfortably. The baby mattress is the base, which can be supplemented with an additional 40 cm pad for the junior size. The matching mattress as part of the accessories range is sold separately and not included in the bed's delivery. With the matching, expandable Sebra mattress the Sebra bed allows to be padded comfortably. 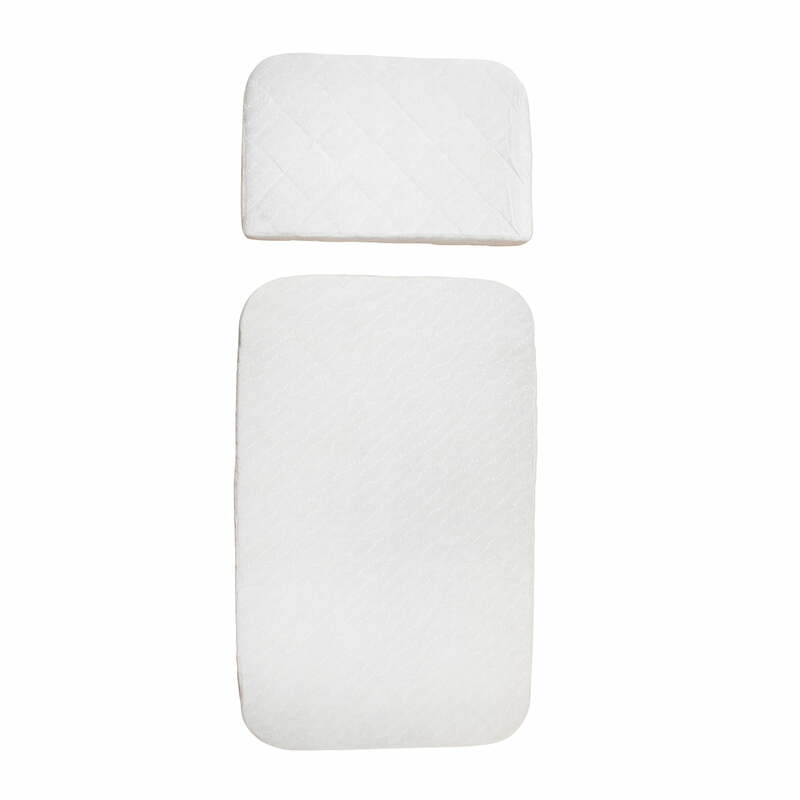 The baby mattress is the base, which can be supplemented with an additional 40 cm pad for the junior size. The bed frame by Sebra in dusky pink provides the perfect base for the girl's room. The Farm collection ensures cosiness with the textiles in the appropriate colour. 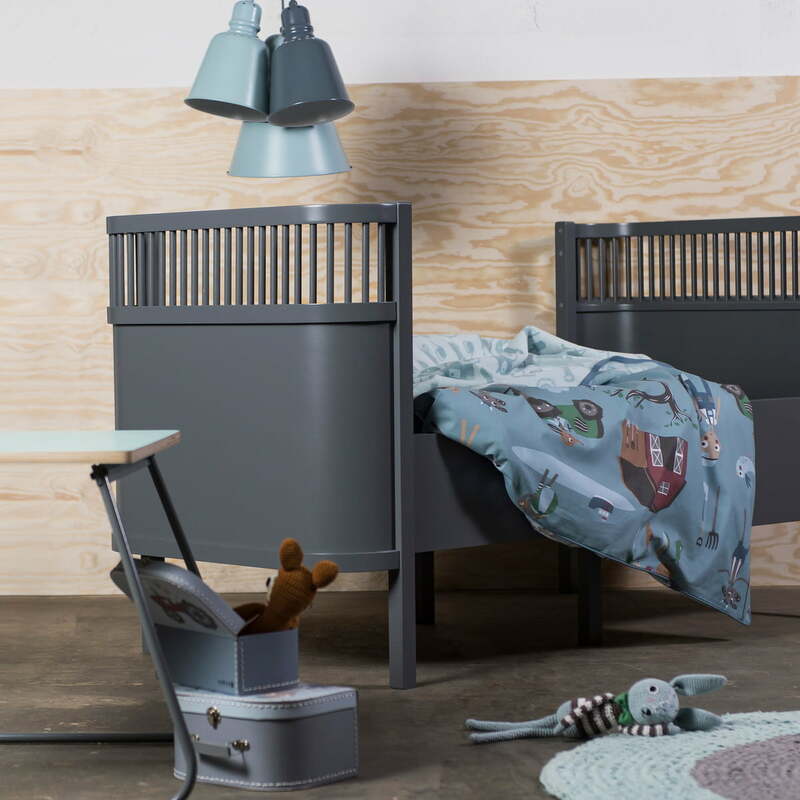 The various shades of blue on the textiles of the Farm collection from Sebra complement this rather simple Sebra bed Baby & Junior made of birch painted in dark grey. The bed is fully framed with bars which ensures that your baby cannot fall out of bed while sleeping. The side bars can either remain attached to the bed or be removed. The Sebra bed out of birch is already suitable for newborn babies and grows with the child, by using the adjustable floor of approx. 110 cm to be expanded to a length of approx. 155 cm.